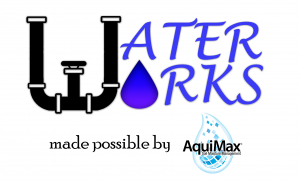 In today’s Water Works, brought to you by AquiMax, San Joaquin River water users could be looking at significantly less water if the State Water Resources Control Board implements their current plan. The finalized draft of the plan calls for 40 percent of unimpaired flows in the San Joaquin River and its tributaries, which would have a sizable impact on farmers. “I think we are talking about large scale fallowing of the agricultural landscape to the tune of 100,000 acres or more I would expect, I’m not an expert on the exact number,” said Environmental Attorney with California Farm Bureau Federation Chris Scheuring. The plan comes at an inopportune time for growers already struggling with other water regulations. “At the same time, this very difficult situation is coming down the pike on the surface water supplies, the rivers, our farmers are also struggling with the Sustainable Groundwater Management Act, which is kind of really restricting their ability to pump groundwater at the same time,” Scheuring noted.